Why drive with an unappealing and no distinguishing Toplight? While you have the possibility to have a genuine Barclay…. The smallest product of the Barclay-range is the Barclay Nano. A high quality Toplight which fits to and on every car and besides that is an excellent alternative for the standard Splithoff. With its dimensions, 40 x 15 cm, the Nano is a small elegant refined Toplight , equipped with LED-light. Unique in appearance, quality and price range. Just like the other Barclay products, the Nano is tested against the instructions of the Minister of Transport and Public Works provided with the TUV certificate for technical and safety standards. 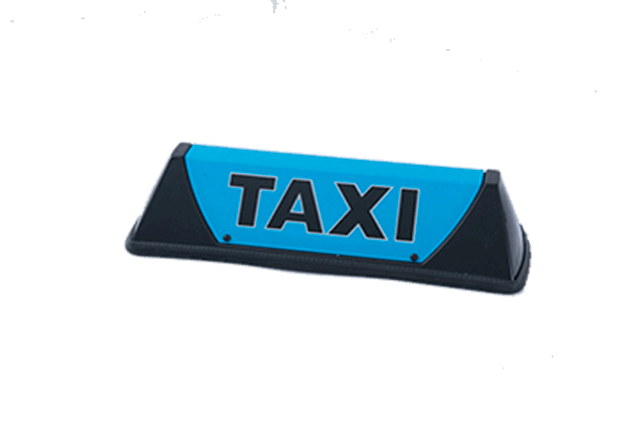 The Toplight is also approved by the TX-plate mark, the Dutch certified organisation for quality taxi’s.